Dacorum’s first Mini Police students have received their certificates after successfully completing the programme. Children from Maple Grove Primary School in Grovehill, Hemel Hempstead, have been taking part in the eight-week scheme, which aims to promote responsible citizenship and get young people interested in policing and community safety. The youngsters have covered a variety of topics including road safety, staying safe online and anti-social behaviour. On November 30, the pupils attended Hemel Hempstead Fire Station for their final session. During the visit, staff from Hertfordshire Fire and Rescue Service put them through their paces with exercises and team building challenges. They were then presented with their certificates by Dacorum’s Chief Inspector, Paul Mitson. Mini Police lead, PCSO Daniel McManus, said: “This was the first Mini Police scheme to launch in Dacorum and it’s been a fantastic eight weeks. The children have learnt a broad range of skills and we hope that they will be able to use these while out in the community. The Mini Police scheme originated in Durham. Following the success of an eight-week trial at a school in Harpenden in April, the scheme is now being rolled out across the county, thanks to funding from the Police and Crime Commissioner, David Lloyd. 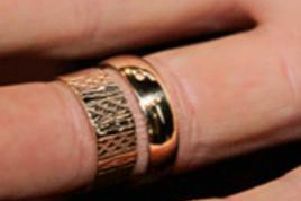 Have you seen these stolen wedding rings from Hemel?